These particles were filtered from transformer oil. The paint sphere is in the lower right of the image. The red color identifies it as primer paint used in the transformer during fabrication. The cluster of three particles in the upper left is a cluster of fungal spores. 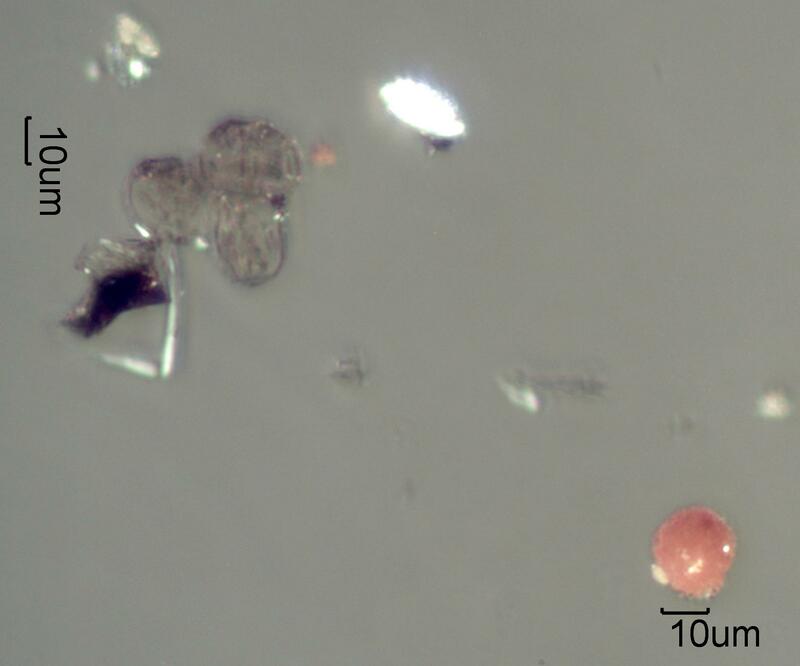 The black angular particle below the spores is a fragment of iron heat-treat scale.